Two people have died and 30 suffered injuries when an Amtrak train collided with a backhoe on the tracks and a car derailed near Philadelphia, officials said. Service has been suspended along the Northeast Corridor in Pennsylvania and New Jersey. There were 341 passengers and seven crewmembers on board Palmetto train 89 at the time of the incident, which took place in Chester, Delaware County. Officials confirmed two people have died on the train traveling from New York to Savannah, Georgia, without revealing the identities of the victims. We are aware of the incident involving the Palmetto train 89 south of Philadelphia and we will provide update as they become available. 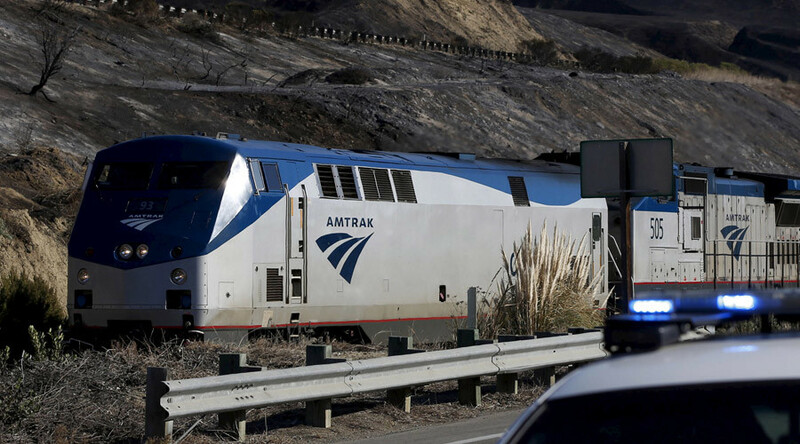 “This morning, Amtrak Train 89, operating from New York to Savannah, Georgia, struck a backhoe that was on the tracks and derailed the lead engine south of Philadelphia,” the Amtrak spokesman said, adding the cause of the crash is now being investigated. — Pete Bannan (@PeteBannan) 3 апреля 2016 г.
Amtrak is a partially government-funded US passenger railroad service, which operates over 300 trains on a daily basis on 34,000 kilometers (21,300 miles) of track, connecting more than 500 destinations in 46 American states and three Canadian provinces. On May 12, 2015, an Amtrak train from Washington, D.C. to New York derailed and crashed in the Port Richmond neighborhood of Philadelphia, killing eight people and injuring over 200 others. — Kris Cruz (@rc_kris) 3 апреля 2016 г.